I can’t really hide my overall disdain for the Miami Heat. Even when they came into the NBA as an expansion team, I’d constantly joke about how terrible they were, comparing their likelihood of them winning a championship to that of Hell freezing over and pigs flying. And then they drafted Dwyane Wade in 2003, which will likely be regarded as arguably one of the most talent-laden drafts in the history of the league. When they turned around and acquired Shaquille O’Neal in 2006 and subsequently won a crown that season, I feared that the earth would open and we were going to be witness to the End Times. This was even before The Decision. You all know what it is, so I won’t rehash the details. 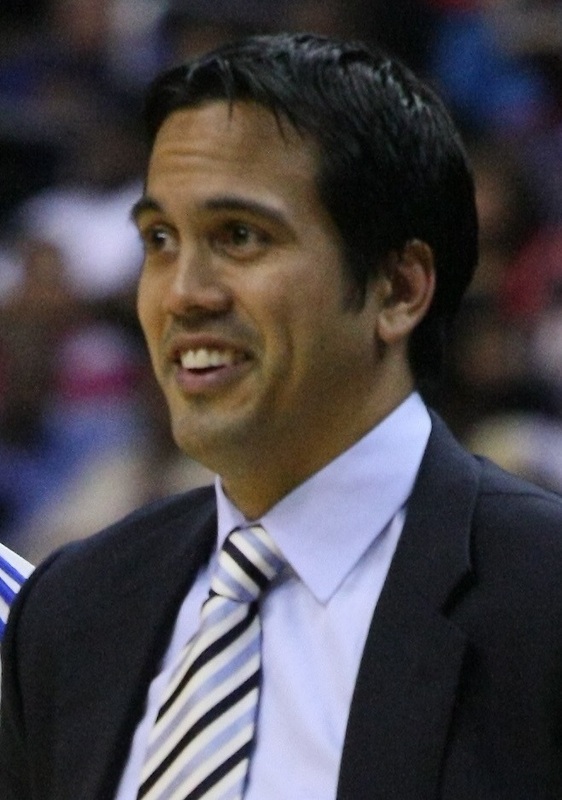 And Erik Spoelstra, the coach who succeeded Pat Riley, was really in the driver’s seat, or at least it would seem. Spoelstra has just received a multi-year extension, and it would make sense for a coach who’s helmed a squad that has won back-to-back NBA titles. But really, is the Miami Heat a product of its coach or its players? We know the answer is the latter. I has been since 2010, and will continue to be so at least until the end of the 2013-14 season, when rumors will run rampant about the Heat’s star players and their future plans. For a better idea of what Spoelstra is going to be all about in the future, take a look at Miami’s record pre-Decision. With only Wade as their stand-out star, the Heat was a team slightly above .500 and was getting bounced out of the first round of the playoffs. And what of the 2014-15? The Heat are staring down the barrel of getting dinged heavily on their salary, thanks to the latest collective bargaining agreement. And Wade is showing a great deal of wear and tear on his body. If Heat owner Mickey Arison and president Pat Riley had played their cards right, they would have opted to wait until the end of the season to re-negotiate, given their future roster uncertainties. But they had already made up their minds. Spoelstra is their guy. But it’ll be anyone’s guess if that will remain the same in a couple of years when the team doesn’t have the personnel to achieve like they have recently. Note: You see that a certain member of the Miami Heat was not mentioned in this piece. That was intentional. This entry was posted in Basketball and tagged Erik Spoelstra, Miami Heat on September 29, 2013 by Bob McDonald.